Hark! Opportunities to volunteer at IMBC 18 are now open! Full details below – please read before applying as a volunteer! Finally, PLEASE FILL IN THIS FORM BY CLICKING HERE to register your interest in volunteering at IMBC 18. 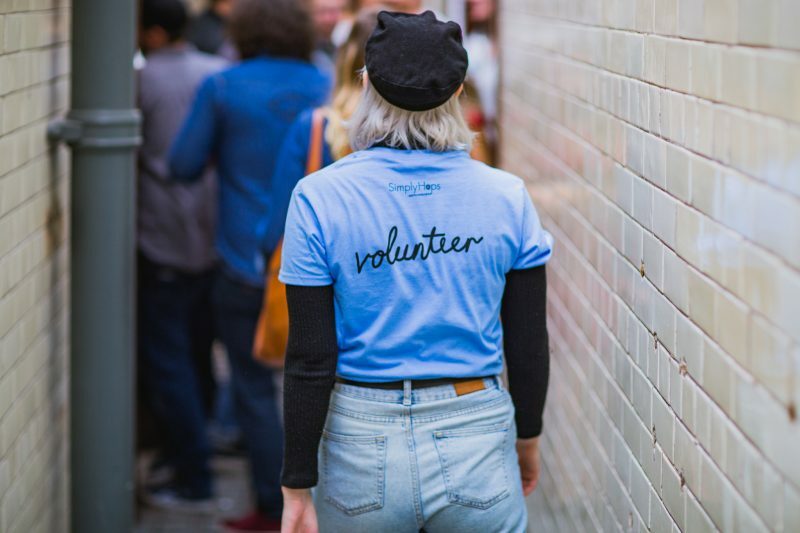 Volunteer Briefings – You need to attend one of these sessions: Sunday 23rd September at 12pm or Monday 24th September at 6.30pm, both taking place at Port Street Beer House, Northern Quarter. Volunteers join us for at least x1 session on 1 of these days. You will be able to indicate which sessions / times you are available on your Application Form. Please note, that there are a limited number of volunteer positions available at each session. We fill these on a first come, first served basis. All of our volunteers during the event join us as Session Volunteers, taking on various positions during each session. This includes pouring beer, welcoming attendees, providing information front of house, selling tokens and clearing the space. If you have good beer knowledge and bar experience, please flag this up for the beer pouring position. All volunteers need to be friendly, well-motivated and be able to remain calm in a fast paced, busy environment. 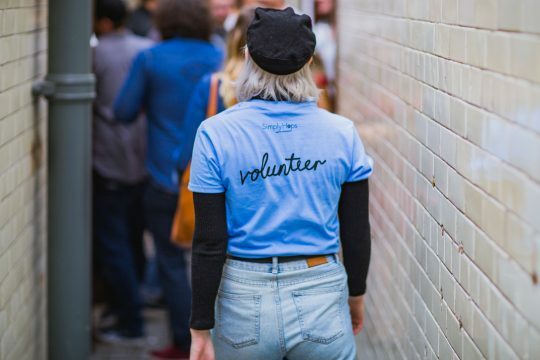 In addition to volunteering at the festival itself, we have x3 set up days (Tuesday 2nd – Thursday 4th October) and x1 take down day (Monday 8th October) which we require volunteers to assist at. 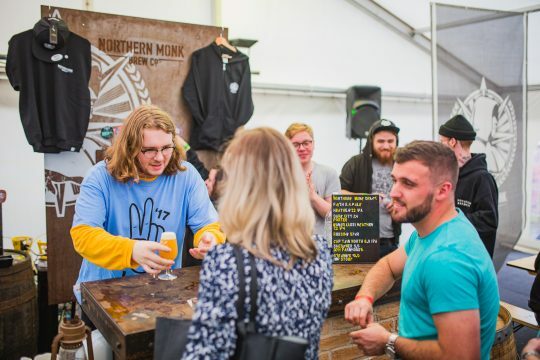 The roles are incredibly varied on these days and we will need help with everything from setting up bars, putting beer in the right places, setting up furniture, and arranging glasses and tokens. We do not accept volunteers who will join us for only set-up and take-down, we ask that you also volunteer at the festival itself. All IMBC volunteers are highly valued as part of the festival team and will receive a great experience and support. We ask that all volunteer sign a simple Volunteer Agreement prior to the festival, which details what you can expect from us, and what we would like from you. This will be provided in the Briefing Session. ★ All volunteers must be 18 years or over on their first day of volunteering. ★ All volunteers must be available for at least 1 x briefing on Sunday 23rd or Monday 24th September and for 1 x session at the event itself. Please let us know of any additional availability on your application form. ★ We trust our volunteers to fulfil their commitment. We ask that once all volunteers are committed to their role that they see it through. We rely on you! You’re important! ★ Drinking whilst on shift is not permitted (beyond tasting of the beers you are pouring, naturally). Any volunteer found to be drinking on shift will be asked to leave the event. You are more than welcome to drink as much as you like (responsibly) during your free session / when attending the event at other times. ★ Free sessions are allocated on a first come first served basis also and are limited at each session. If you would like to apply to volunteer please complete the online Volunteer Application Form HERE. The submission deadline is ​12pm on Monday 10th September ​​however we advise that you apply as early as you possibly can as places are limited. Applications will be reviewed and places filled on a rolling basis before the deadline. We receive a high volume of applications, so please bob your application in quick sharp! We welcome applications from all ages, abilities and sections of the community.